Eurodollar is still being corrected. Earlier market rebounded from level of 61.8% and then started growing up. Most likely, bulls will each their target at level of 1.3970 in the nearest future. Yesterday bulls rebounded from local level of 38.2%. It looks like price is going to start new ascending movement. According to analysis of temporary fibo-zones, upper target levels may be reached during the next 24 hours. Franc is still consolidating. Last week, pair rebounded from level of 38.2% and then bears reached new minimum. 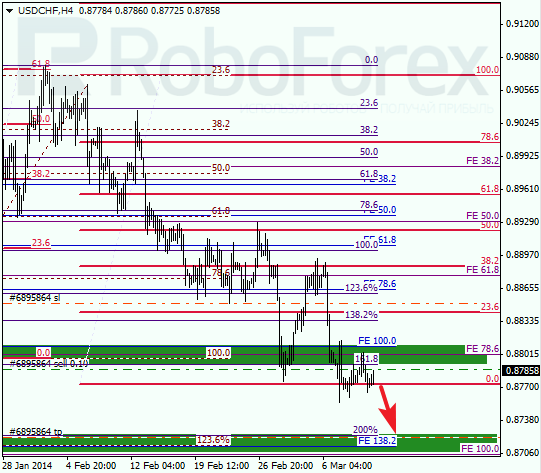 Main target is still close to several lower fibo levels at 0.8720. 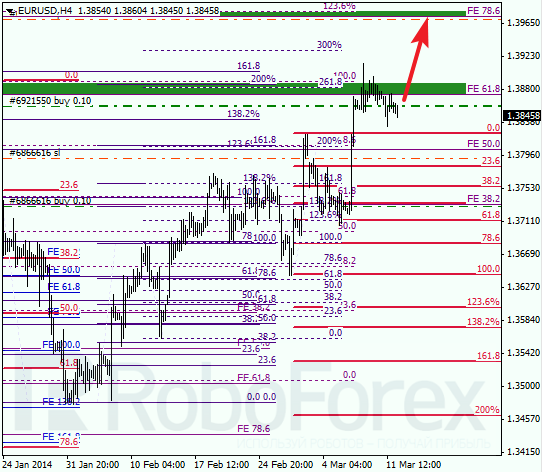 At H1 chart we can see, local correction reached level of 38.2%. According to analysis of temporary fibo-zones, predicted targets may be reached on Wednesday. Later these levels may become starting point of new correction.